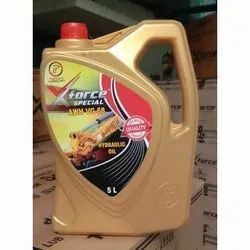 Leading Manufacturer of 5 litre awh vg-68 auto run hydraulic oil, awh vg-68 auto run hydraulic oil, awh vg-68 5 l xforce hydrulic oil and awh vg-68 26 l auto run hydraulic oil from Anand. 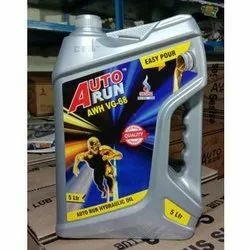 With the support of our highly experienced & skilled workforce, we are renowned as one of the well equipped manufacturer and suppliers of 5 Litre AWH VG-68 Auto Run Hydraulic Oil. 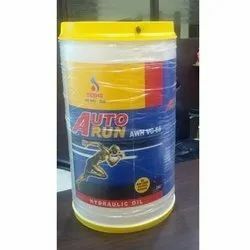 Auto Run Hydraulic Oils Equivalents to Is 3098-1983 are recommended as fluid media for hydraulic systems operating conditions in stationary & mobile equipments where high pressure gear & Vane pumps re used. 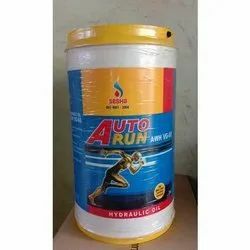 These oils are also recommended for circulation, splash, ring oiling system of the bearings (both plain & antifriction), gears of industrial machinery, metal working equipments, servo control and air compressor applications.